In this 5-hour interactive training, staff and leaders will learn how to optimize team dynamics and improve team effectiveness. Have you ever wondered what makes a work team effective? Get in the queue. 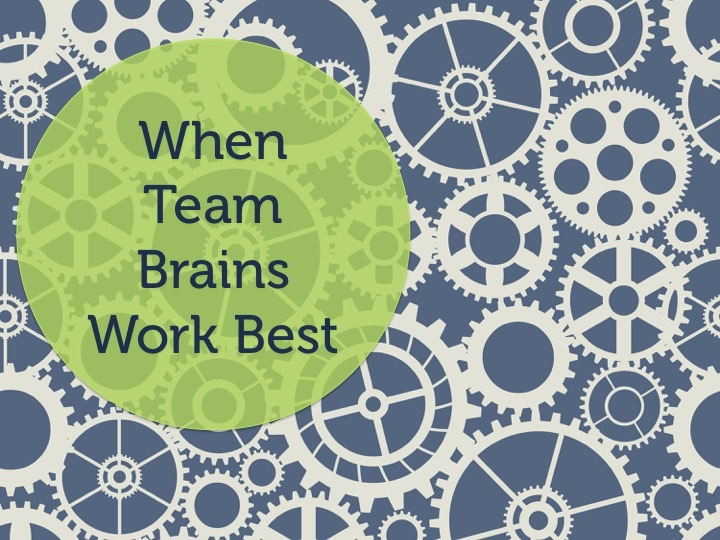 In When Team Brains Work Best, we follow the lead of the world’s expert in team dynamics whose research shows that an effective team performs well, cultivates satisfied and engaged team members, and grows its learning and efficacy over time. Team dynamics weigh heavily on team effectiveness. Research indicates that it matters more about HOW a team works together than who is actually on the team. The resounding top three factors that lead to effective work teams are 1) psychological safety, 2) dependability, and 3) structure and clarity. This research dovetails perfectly with the world of our mammalian neurobiology where our optimal neural state is one of safety and social engagement. When settled in that neural state, professional mammals cooperate and collaborate. Or we don’t. In When Team Brains Work Best, we will explore how your individual and team neural states can drag or lift team effectiveness. Together we will scaffold practices of moving your work team to its optimal performing state and develop relational practices and work agreements for ensuring your team dynamics enhance all the elements of team effectiveness. If you want to build a more engaged, satisfying, and committed work team, have your organization contact Susie for pricing and arrangements. Customized trainings are available onsite in Alaska and beyond.